One of the most frustrating things, as a consumer, is being unsure about the terminology being used by an expert that you are working with. It doesn’t matter if it is about your car, your plumbing or your window treatments, you don’t want to be left in the dark. And when it comes to draperies in Anchorage, some homeowners are surprised at the extent of terms there are involved even when they’re just looking for something simple, like a curtain rod. So, as an Anchorage homeowner, it is a wise idea to familiarize yourself with some of the lingo you may hear, when it comes to your draperies. Of course, make it a point to team up with a reputable industry expert and you won’t have to worry about this. A true professional helps ensure that their clients understand every step of the process. Finial – This is the decorative end piece you see on many curtain rods. 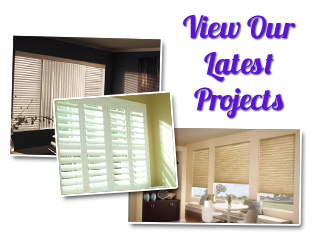 While it is not a necessity, it is a way to add more depth and detail to your window treatments. Center Support – As the name would imply, this is a support piece for your curtain rod. This is commonly used when a curtain rod is extra long or the draperies are weighty. Track – For windows that are floor to ceiling, this leaves little opportunity for mounting any type of rods to hold the curtains. Tracks are ceiling mounted and enable the draperies to glide along a track. Puddling – Just like it sounds, these are the puddles of extra long drapery fabric that collect on the floor. It creates a theatrical effect. 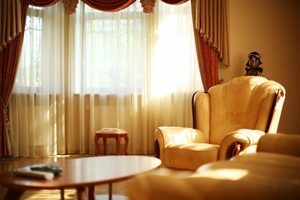 Curtain – People tend to use the words drapes and curtains interchangeably, yet there is technically a difference. Draperies are usually more dramatic; their fabric touching or even puddling on the floor. Curtains are shorter and vary in length. Hem – Just like a hem on clothing, this is a section of fabric that is tacked back behind the curtain and neatly stitched into place. The size of the hem can also help create a more sophisticated look. It doesn’t have to be confusing, when all you have to do is make it a point to call on the professionals here at our Anchorage shutter company to help you get the job done. Smart homeowners in and around Anchorage know that the name to call on is Winter Windows. Since 1983, we have been the local leading service experts for all things related to window treatments, including draperies. We will guide you through the process and help make sure you understand every step along the way. 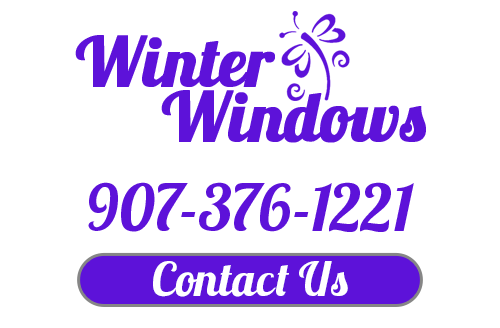 If you are looking for drapery hardware or help shopping for draperies in Anchorage, then please call 907-376-1221 or complete our online request form.